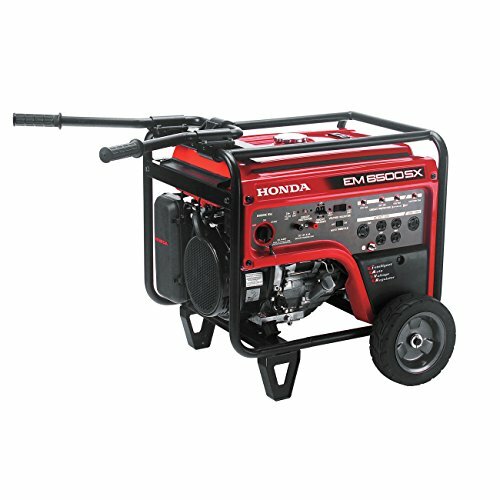 Honda EM6500S Generator. 6500 Watts of Power! Featuring an iGX390 389cc Commercial-Grade Honda engine. 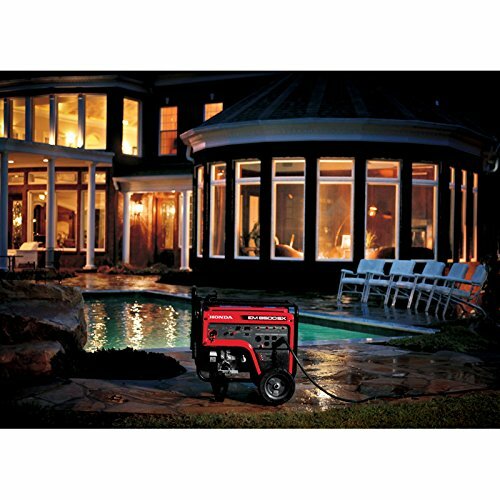 Provides 7000 Watts for 10 seconds to start larger equipment. Fuel capacity is 6.2 gallons and will run for up to 10.4 Hours on a full tank. Electric & Recoil start. Honda’s exclusive iAVR technology ensures a consistent flow of power regardless of the load. Powers fridge, freezer, furnace, well pump, and much more. Selector switch for 120V or 240V. Protected by Honda Oil Alert – Protects the generator by shutting the engine off when low oil is detected. This is a Genuine Honda Product and comes with the full 3 Year Warranty.